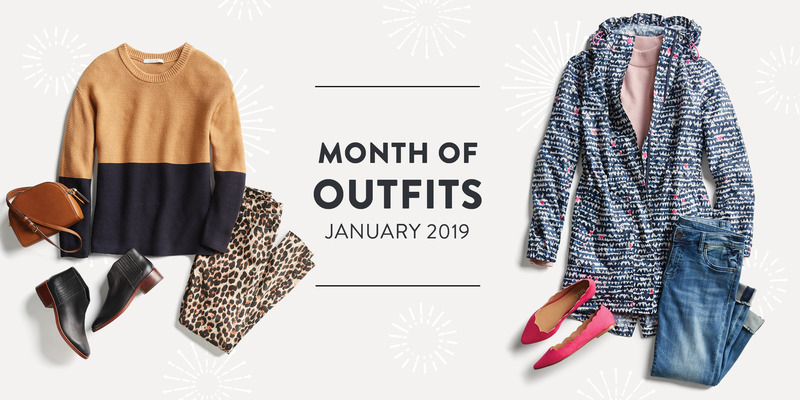 New year, new you and a fresh new take on your style! 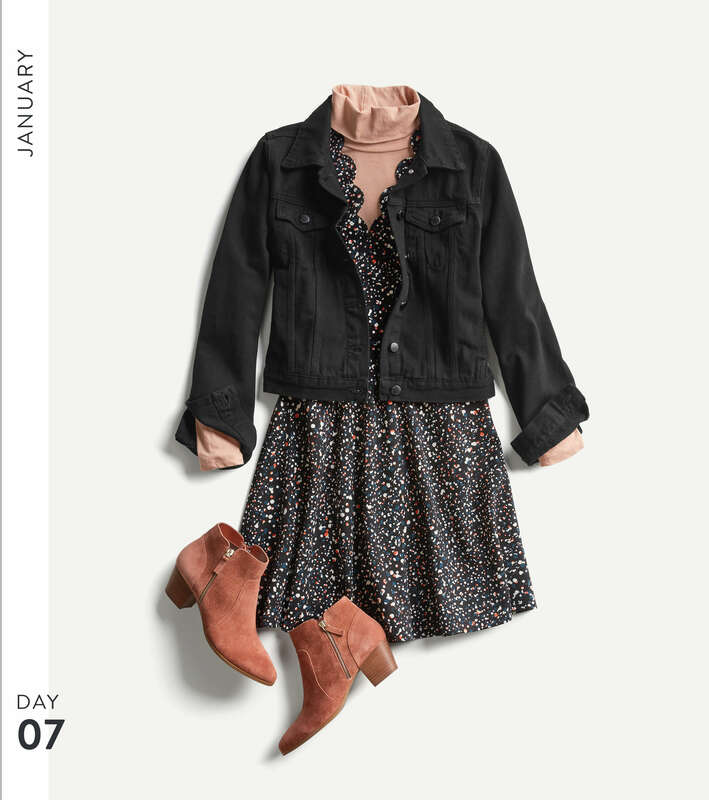 2019 doesn't only mean new beginnings personally and professionally, but it's also the perfect time to set a few style resolutions for the year ahead. We're taking the time to show you what we're excited to send you in your Fixes in the New Year. 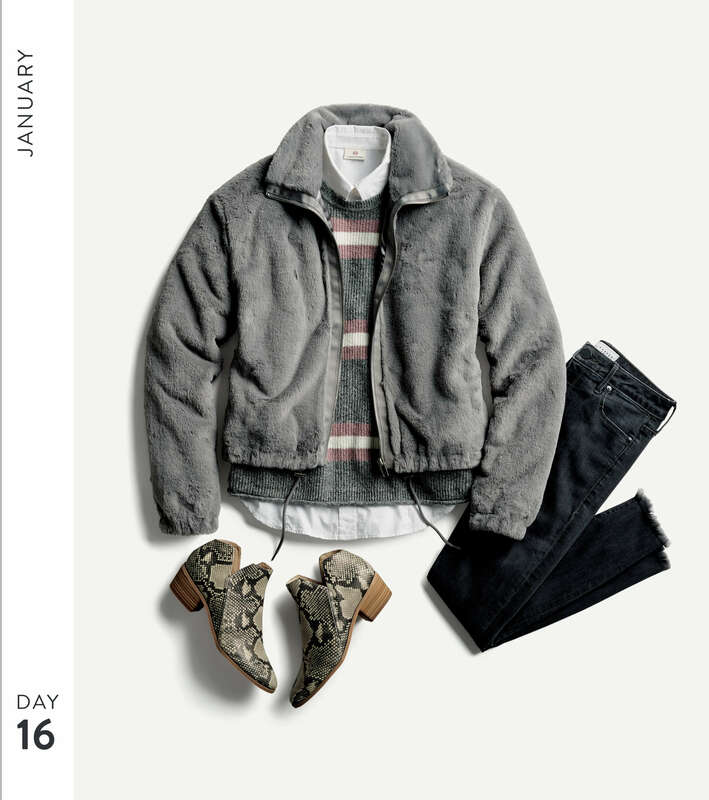 Keep scrolling to see 31 days of fresh outfit inspiration! 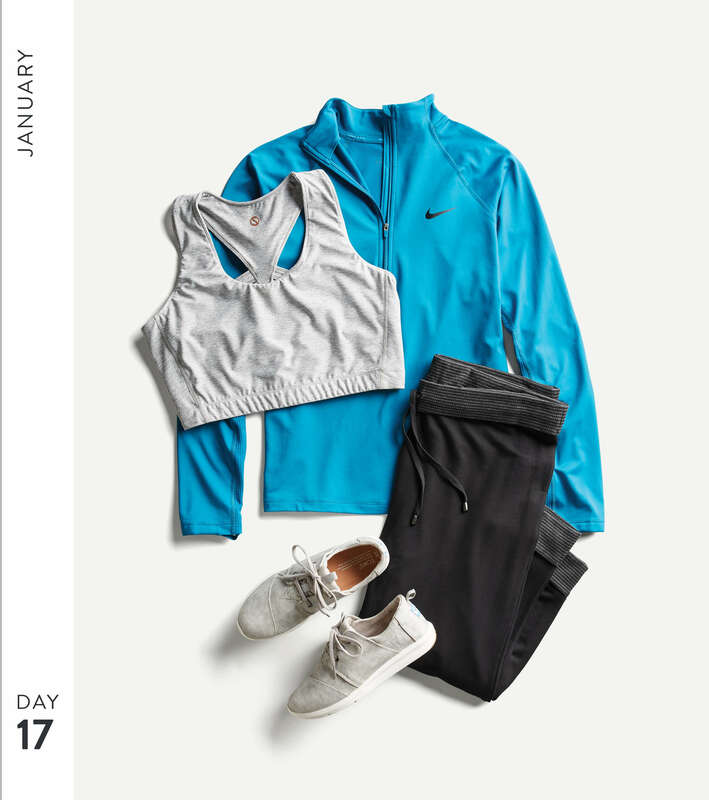 If there’s one recent trend that seems to have a stronghold on everyone’s heart, it’s Athleisure. 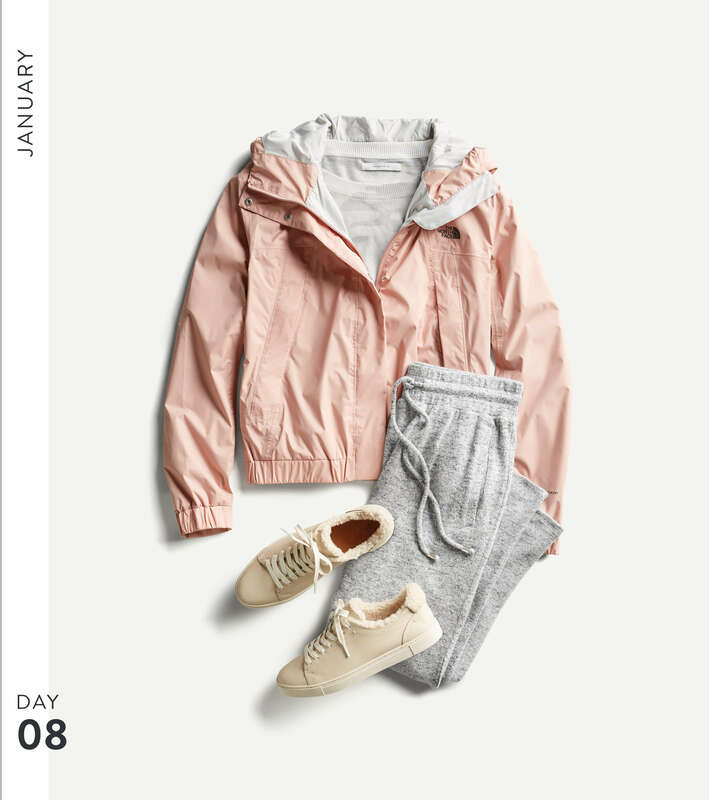 Since 2014, the comfy chic look has taken off and shows no signs of slowing its juggernaut-like momentum. 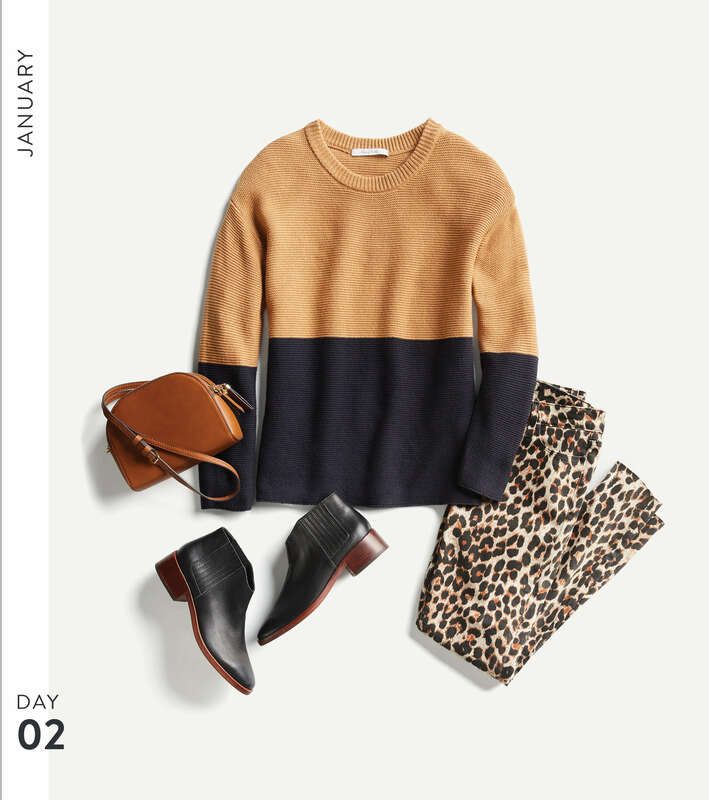 It’s so easy to love (and style). Headed to the snow for the weekend? 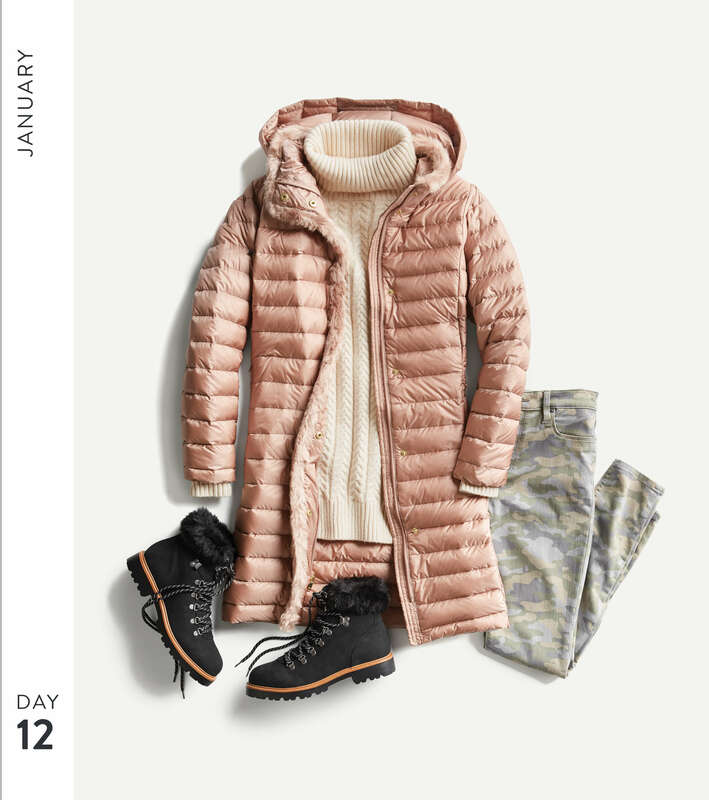 We suggest light colored joggers with a chunky sweater and puffer with sturdy rubber sole boots for colder months. Denim is a friend you can always depend on no matter what—and the right color and cut will have you feeling like a million bucks. While there are many styles to choose from, we suggest dark wash bootcut jeans for a long and lean look at work. We also love a pair of colored ankle jeans when you want to keep your look casual, but fun on the weekend. 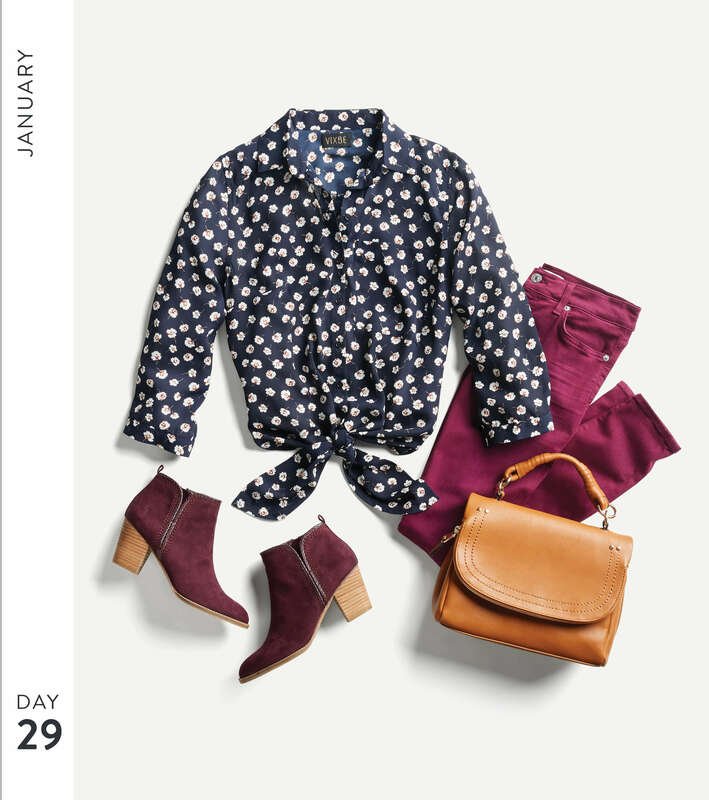 Or, jazz up your distressed boyfriend jeans with your favorite heels and a feminine blouse to head to happy hour. Bring on the sun! Get into dresses that swing and brighter color tones that pop non-stop. There’s nothing like the promise of spring to uplift your mood and style. 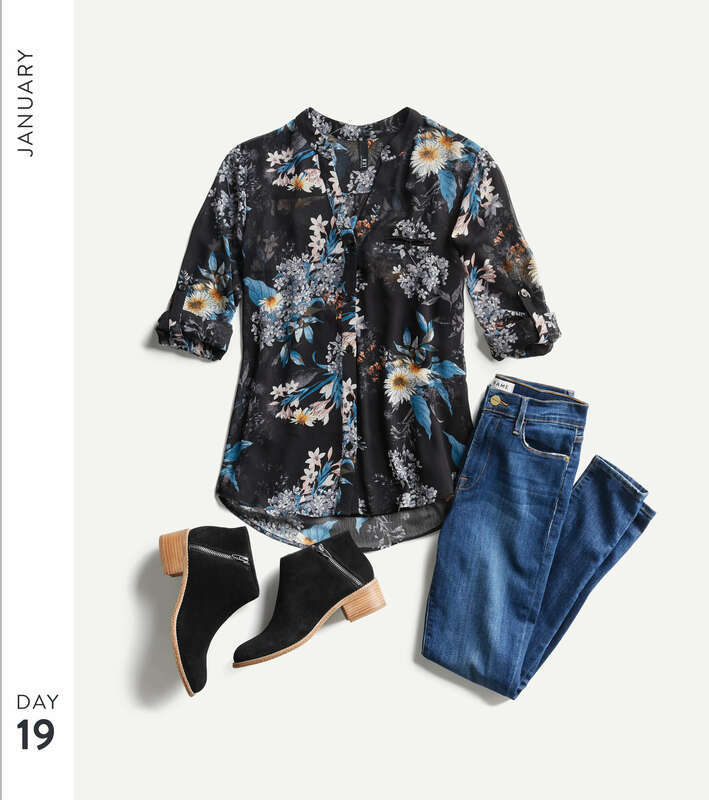 Start prepping now with a fancifully embroidered tunic with light-colored jeans and a neutral pump or bootie. 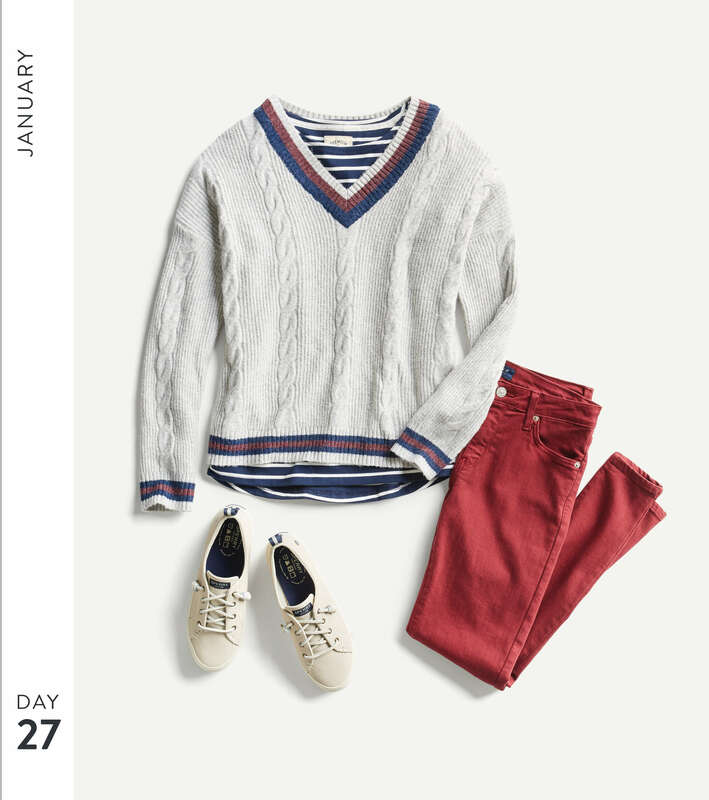 The nautical look is a timeless favorite that resurfaces every year to give us prepster, pre-spring resort vibes and thoughts of sailing away to sunnier skies. 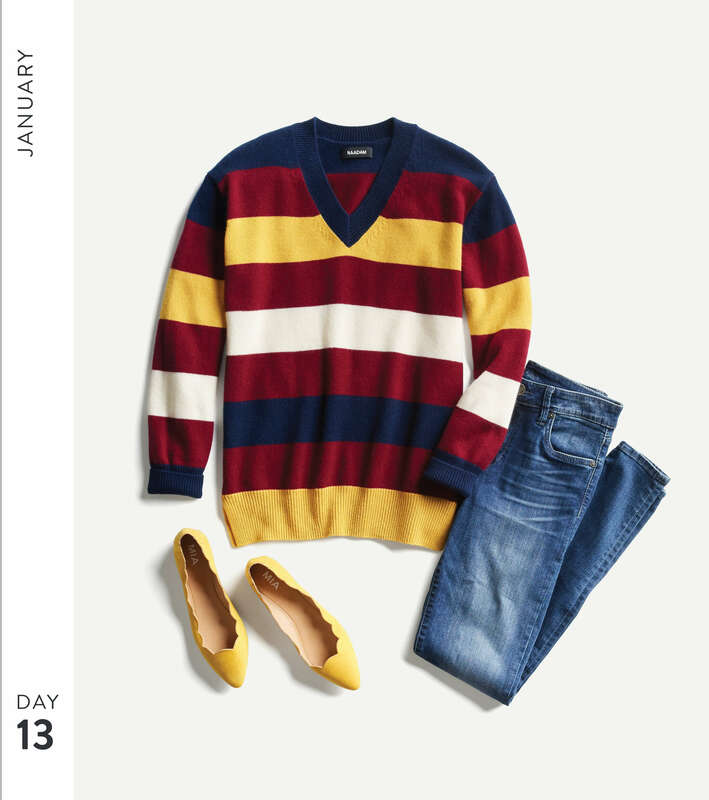 Select pieces that ooze laid-back sophistication like a bold striped v-neck pullover and your favorite pair of jeans plus a bright pair of flats. Ready to update your look in 2019? Schedule a Fix and let us know which trends you’d like to try!